WIN A PUNK AND OI PHOTO BOOK!!! 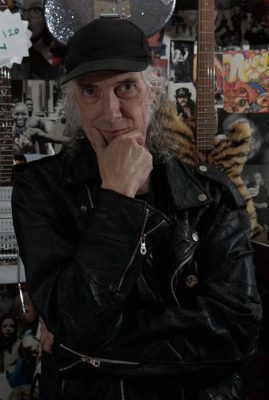 Noted photographer Jim Jimmy James has recently published a brilliant limited edition photo book called Gents & Herberts, featuring icons from the world of punk and oi! 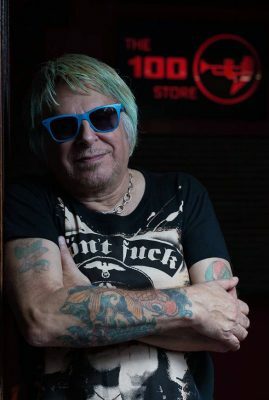 They include Charlie Harper (pictured) of the UK SUBS, Knox (Knox) from the VIBRATORS, Roi Pearce of THE LAST RESORT, Mensi of the ANGELIC UPSTARTS and Jeff Turner of COCKNEY REJECTS. You can win a copy of the highly collectable book by going to Jim’s JustGiving page and entering a raffle to raise money for Changing Tunes, a non-profit organisation that donates instruments to prisoners to help with rehabilitation. You can enter the raffle as many times as you like for a minimum donation of £3 per go. Please leave your name when making the donation, and don’t forget to tick the box which allows Jim to contact you, otherwise he won’t be able to let you know if you’ve won. The draw closes on 5 August. Good luck! ‹ LAST FEW TICKETS FOR HYDE PARK PUNK!